You are at:Home»Jewellery Education»19 Crazy Facts about Engagement Rings. 19 Crazy Facts about Engagement Rings. 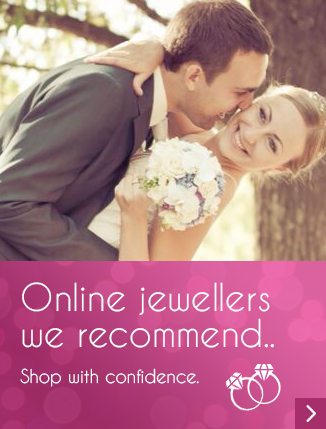 5) Jewellery engagement ring animation has taken over the web. These are interactive and give customers a better idea how the ring looks in great detail. Top 10 Tips before buying an engagement ring..
6) Ancient cultures believed that the third finger on the left hand, had a special vein called Vena Amoris, the vein of “love,” this vein runs directly to the heart. 7) The word diamond comes from the Greek word “adamant” which means steadfast or invincible. It is from this word that the diamond gets its name. Diamonds are believed to be indestructible but although a very hard material they are also quite brittle so getting a hammer to it will not do it much good!! 8) Many of the diamond rings you now see online are in fact models that are not real. These rings are computer generated to look real as traditional photography isn’t always the best option for such small and beautiful products. Lionsorbet a uk based company create some of the best samples in the world of these type of images and videos. 9) Some engagement rings are used as Wedding bands. You can still have a separate wedding ring band, but some designs incorporate this. 10) Countries such as England, United states, France, and Canada traditionally wear the engagement ring on the left hand. Where as Germany, Russia and India wear the ring on the right hand. 11) The most common metal used for engagement rings is either White Gold or Platinum, however due to the rise in cost for these two types of metal Palladium is the new metal on the scene. Palladium is regarded as a precious metal and is a luxury alternative at a much cheaper price. 12) Many alternative engagement rings are being designed and manufactured everyday. There are some amazing custom designs out there that look amazing. They do however come at a premium but they look electric compared to the standard shanks available on many websites and shop outlets. 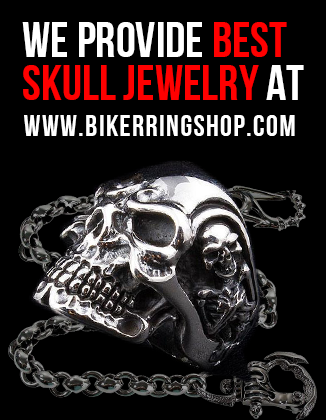 Many large online retailers sell common designs that a majority of people want but it is worth checking out individual designers and custom builds as they are not always that much more expensive to buy. 13) Although Valentines day is one of the most important days of the year for jewellery retailers, December is in fact the most popular time of the year to get engaged. 14) Diamonds were first discovered in India as far back as 800 B.C. But diamonds were not used on wedding bands or engagement rings until the 15th century. 15) The most expensive diamond engagement ring in the world is the De Beers Platinum. Weighing in at a cool 9-carats. It’s no wonder it costs around £1.2 million. 16) The average diamond carat weight used in engagement rings is estimated at 0.37 carats. 17) Did you know if you shine an ultraviolet light on a real diamond it will glow in the dark for a few seconds. Some experts believe this is a good way to make sure its the real thing. 18) The Kimberly Process ensures conflict-driven diamonds are no longer fuelled by civil wars or conflict. In fact Less than 1% of all diamonds mined are conflict related. 19) The youngest diamond is 900 million years old, however scientist can grow synthetic diamonds averaging 2.5 carats in 4 days. Thank Shelly64, appreciate you visiting us. Love this article, The video’s look stunning. Thank you Freshprince. We totally love you too!! and of course Will Smith!! How can buying online save you paying tax? Hi Badger, I think it depends what country you are buying and shipping to. Generally customs will intercept the package and charge tax at source unless a company sends it as a package with no value. This could cause insurance issues. Fact # 3 suggests that purchasing on-line will save you having to pay tax. this is simply not true, Any purchase made, be it on-line or on the high street will incur tax. On-line traders often claim that savings can be made because of reduced overheads that they have compared with high street shops, this may be true but with the present climate, high street jewellers are having to compete and good deals are available. Also, buying a diamond on-line with out seeing it can be a risky business, where as buying from a high street shop will enable you to physically see the stone so you can be sure of what you are paying for. Hi Badger, you make some good points. Personally I feel there are some very reputable and honest retailers that run internet only businesses. All will generally provide minimum standard quality diamonds with GIA certification or the less expensive EGL, I think as long as people are more wary of independent certification then they should be as good as any high street retailer. The Tax is something we will check though as it’s worth being open about what can be saved online nowadays. Pingback: Nicola Crawford - Lost for Words - Mixing romance and femininity into complex form. Nice collection of jewellery and diamond. Nice information. Pingback: Do you own a fake diamond?